Cleaners Brent Park NW10 | Discounted Prices! 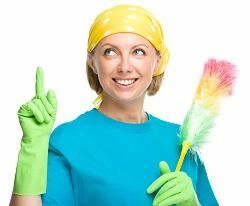 One-Off Cleaning is the source of many great cleaning services in Brent Park, NW10, and the best one of them is our one-off cleaning service. It is the simple: when you need domestic cleaning done you call us up on 020 3397 3282 and we send over a team. Our team of one-off cleaners consists of absolute professionals who will make sure to provide you with the most thorough one-off clean at the lowest price locally. We offer high quality work at a reasonable price and exclusive deals which you can take advantage of at any time. Get in touch with our customer service advisors today and tell us how we can be of service to you. How Can We Achieve Such Great Results? Our range of cleaning options in Brent Park covers all your cleaning needs. Every part of your home will be immaculate – top to bottom, we will thoroughly clean your rugs and carpets, curtains and mattresses, furniture and floors. We will leave no stone unturned and even the toughest stains shall be taken care of. Our one-off spring cleaning service saves you the trouble of doing all that yourself. Hire us and we will deal with that. And when you call us on 020 3397 3282 for your end of tenancy cleaning needs, we will arrive anywhere in NW10 and will do such a fine job that your landlord will gladly hand over that deposit cheque. We are that good, have no doubt about it. How Are Our Services Any Different Than the Rest? Many cleaning companies in NW10 think that they are bringing something new to the table, but we understand that this is not the case. We are all offering one thing: good cleaning. And when you need one-off cleaning services, you come to us because we do the best job. The high quality of our service is unquestionable, and what is more, we give you an absolutely 100% eco-friendly approach to cleaning. We make use of organic cleaning products and utilise steam cleaning technology so that we cleanse your premises to ensure the best results. Hire us and live in a safe and healthy home. Wherever you are in Brent Park, give us a call and we will handle the work better than anyone else. And that is a guarantee. Brent Park is a district located in North West London, in the London Borough of Brent. It is a relatively small area, which features quite a few sights for tourists and places the inhabitants to go. As commodities go, it is home to big stores such as a Tesco, an IKEA, and even a McDonald’s restaurant for the fans of Ronald McDonald. The area is situated near to Stonebridge, Wembley Park, and St Raphael’s Estate. A big landmark just off Brentfield Road is the so called Neasden Temple, which is also the largest Hindu mandir (or temple) outside of India. At One-Off Cleaning we offer excellent one-off cleaning options at budget-friendly prices. Our affordability is renown across Brent Park and we want every household owner to be able to afford our services. We offer low price rates and exclusive offers and deals to save you even more money. And whatever the price, the high standard of service is always guaranteed – we never slack off just because you pay less. We offer value for money house cleaning and we provide it every time we are on the job. If you want to see for yourself, then call 020 3397 3282 now and ask for your free quote. Don’t waste your time trying to deal with your deep cleaning chores. Hire the professionals instead! We are the best cleaners in NW10 and we will show you why.